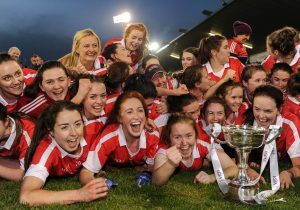 THE remaining provincial Ladies club football silverware will be handed out over the weekend, with Finals down for decision in Connacht, Leinster and Ulster. Saturday November 3 sees the glamour Connacht and Ulster senior deciders, before Foxrock-Cabinteely aim to make it four-in-a-row in Leinster on Sunday. All-Ireland champions Carnacon and Galway’s Kilkerrin-Clonberne meet in Ballyhaunis on Saturday, in what is a repeat of last year’s Connacht senior Final. Carnacon needed two bites of the cherry before retaining their title, and these were two memorable games. 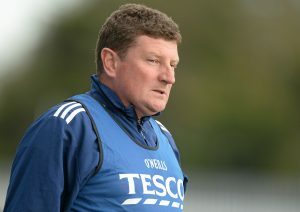 The expectation is that another classic tie lies in store, as Kilkerrin-Clonberne, managed by former Galway boss Kevin Reidy, aim to win their first Connacht crown since 2015. In Ulster, Monaghan’s Donaghmoyne, who were All-Ireland champions in 2016, are aiming for their first provincial success since then. Donaghmoyne were stunned by Tyrone’s St Macartan’s in last year’s Ulster decider but gained revenge against the same opposition in the recent semi-final. 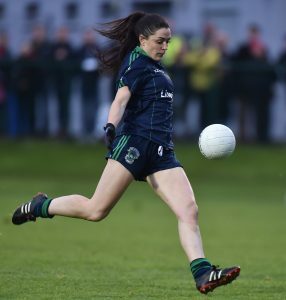 Opponents Glenfin lost out to Donaghmoyne in their one and only Ulster senior Final appearance back in 2011 but spearheaded by Donegal star Yvonne Bonner, they’ll go into their second Ulster final with quiet confidence. Attention in the senior grade switches to Leinster on Sunday as Foxrock-Cabinteely aim to retain their provincial title in Kinnegad. Opponents Sarsfields from Laois are back in the Leinster Final for the first time since losing to Fox-Cab by five points in 2015. But Sarsfields are three-time Leinster senior champions themselves (2014/2013/2008) and won’t be overawed by a star-studded Fox-Cab outfit, who have Dublin’s TG4 All-Ireland winners Sinead Goldrick, Niamh Collins, Amy Connolly, Hannah O’Neill, Emma McDonagh and Tarah O’Sullivan in their ranks. Over the weekend, the junior and intermediate champions in Connacht, Leinster and Ulster will also be revealed. In Leinster, Dublin have the chance of a clean sweep across the grades, similar to Galway in Connacht. Across the three Ulster Finals, five counties are represented.